According to The Knot, the most popular months for weddings are June, August, September and October. Fall weddings are absolutely beautiful, especially in outdoorsy, scenic Idaho. We know that planning can be stressful, but it should be fun! That’s why we’re giving you a guide to planning your fall 2018 wedding in or around Twin Falls, Idaho! From picking the dress to finding the perfect entertainment, we’ve got a few tips and tricks up our sleeves. Not sure what your wedding style is? Take our quiz and then get planning! This element is always number one on the bride’s mind. Finding the dress is the most exciting moment for most women and their close gal friends and family. We recommend you check out a few places in Twin Falls for your dream gown, but here’s where you can start! Christa’s is located on Shoshone Street E and offers a variety of beautiful gowns for all body types. Try on dresses in some of the trendiest styles including mermaid, trumpet, and the all-time classic ball gown. The team at Christa’s wants to make your day the magical fairytale you’d always thought it’d be! In addition to trying on bridal dresses, you can bring your bridesmaids along and have them try on frocks, too! Christa’s has it all! No, we don’t provide dresses, but we do provide another bridal services! What’s a beautiful dress without gorgeous hair, makeup, eyelash extensions, even and nails to match? You can book all of that and more in our *student salon! Our talented esthetics and cosmetology students would be happy to pamper you and the bridal party for your big day. Book your appointment today! As the bride, you’ll want to display your beauty with a backdrop that’s just as stunning. Idaho is known for its scenery, and you can take advantage of it on your big day! Pick the right venue, have the perfect night! The event center is situated along the beautiful Snake River Canyon. Your wedding could take place just above the river with the curves of the canyon outlining your fairytale. The mix of indoor and outdoor space is perfect for late summer and early fall wedding days. This is truly the center of majesty that Twin Falls has to offer. Guests and party members alike love good entertainment at a wedding. Dancing the night away is basically a tradition for a celebration this big. Live bands can be fun, but there are some other unique things you can do to keep your family and friends smiling. Music Magic Events serves southern Idaho, and boy do they bring the party! With wedding DJ services to photo booths, you can get entertainment that matches the theme and feel of your special day. There’s even a fun twist to what they offer, they have the most famous photo bus in the state! You can add your own personal touch to the photos of your guests by purchasing additional costumes and props that are unique and representative of you and your new spouse. Before the send off of the newlyweds, the cake is usually the party finale. Wedding cakes have evolved from your typical two-tier white cake to things more simplistic or even more extravagant. The good news is that Twin Falls is home to some really talented bakers and cake decorators, so you’ve got to pick from the creme de la creme. Here’s where you should stop first. This bakery is local to Twin Falls, but they produce cakes that could be on TV. Their site boasts their extensive portfolio of wedding cakes that have been created for weddings of every style. If you’re a little less traditional, they do cupcakes, too! Make sure to go in and taste the cake flavors and talk about design quite a bit ahead of the big day to ensure that it’s done in time! What Does Your Big Day Look Like? Boho chic, traditional, fairytale? 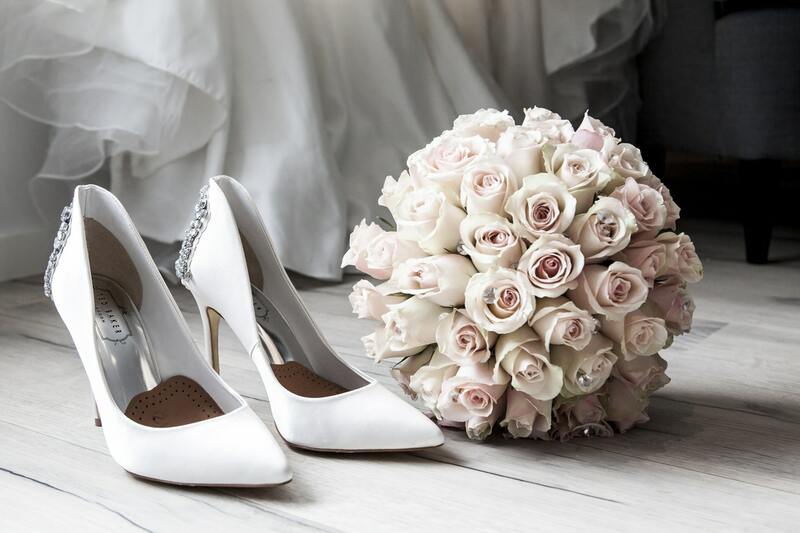 What will your big day look like? Are you going to be using any of these trendy, local companies? Make sure to share with us in the comments below and on social media! We can’t wait to see the pics! Looking to plan your dream wedding? Pick your theme using our quiz!